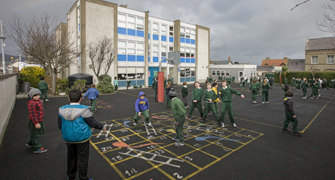 Following on from the success of the visits of the Transition Year students from St. David’s Secondary School, mentored by members of our school’s Parents Association, we are planning the following for Code Week EU in October 2019; that approximately 10-12 visiting students would coach 3rd & 4th class students attending Learning Support for Special Needs, in code using ‘Hour of Code’ activities from the Code.org website e.g. – and finally older 5th and 6th classes in the school. – and their problem solving and coding skills. We revised some word skills with Mr Dodd’s class and project preparation skills with Ms Murray’s. The Transition Year students then supported classroom project work mingling among the student. Our digital year has gone from strength to strength. In the last week of November, Ten TY students from St. David’s secondary school worked in St. Brigid’s teaching 4th, 5th and 6th computer skills. The TY students have been very good teachers, establishing a great rapport with the primary students and having great patience. The younger students in turn are very engaged in learning about computers from young people that they look up to. This is another great initiative from the Parents’ Association, more specifically the ICT committee. Thank you to parents Janet, Amanda and Aisling for co-ordinating this for us. ‘We are delighted to confirm that the Parents Association have this year continued their support of our students with their digital and ICT development for educational use. We launched an IT week on the 26th November for the senior section of our school 4th, 5th and 6th class. For the first time we were supported by ten Transition year St David’s students. The children loved being mentored by their older peer group. They were deemed much cooler than parents! A big thank you to St David’s school for joining us on this new venture. We hope to repeat this again next February. With fourth and fifth class we focused on the huge capability of Word. We showed where it might be more appropriate to use than Power Point and how both can be used in conjunction. The students work on Christmas menu’s and we saw some very creative work. We were subsequently told by a parent how her child used these newly acquired skills to design a Café Price list for St David’s Christmas Café. 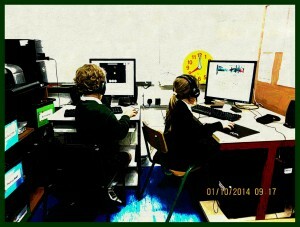 Sixth class were given a session on using the Internet safely as a research tool. They also got valuable instruction on how to present a digital project. All skills definitely required for their continued educational journey in secondary school. One class then put into action research techniques learnt for their current class project on WW2 whilst the other class in small groups put together a fact sheet on healthy lifestyle for 12 year olds. They researched, created a word document fact sheet and then presented their findings to their class mates. It was a very interesting experience. We have received extremely positive feedback from Ms Costello, the teachers involved and the students. I want to thank Aisling Carroll, Amanda Fulmer, Ms Costello, the staff of St. Brigid’s and staff and students St David’s school for making this possible. Without their commitment and determination none of this would have been possible. I also want to thank the IT operational support group of parents that keep our school student laptops in working order. You can read more about the work of the hard working and far sighted PA Digital and ICT Group HERE. New members are always welcome to this group. Just leave a message for Janet, at the school office. The students and staff in St. Brigid’s were very happy to receive the following email from Scoilnet today. 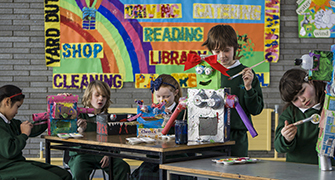 Scoilnet is the official education portal of the Department of Education and Skills in Ireland. Today’s email said: ‘I’m delighted to congratulate your website on being chosen as Scoilnet’s Star Site. We here at Scoilnet think that you have a great website and that it is a super point of contact between the school and the wider community. I’ve attached the Star Site logo for you to proudly display alongside your other many awards on your site. We would like to thank everyone who contributes to our website: students, parents, teachers and secretarial staff. We would like to thank our Principal Mrs. Costello and our Board of Management who support all our work. Thank you too, for visiting our website and reading all about our school. We hope that it is like a window on all that makes St. Brigid’s NS Greystones a special place to be. 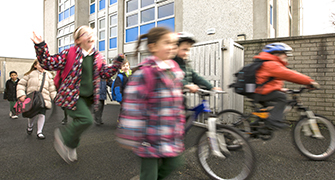 Congratulations to St Brigid’s NS of Greystones, Co. Wicklow for winning the Scoilnet Start Site Award. 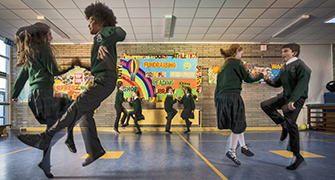 St Brigid’s National School’s website is very well designed and is packed full of useful information for parents, pupils and the wider community. The layout is easy to navigate and the most important information such as Latest News and Term calendar is very easy to locate. 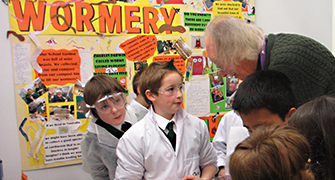 The homepage contains a photo slider which highlights activities and achievements within the school. There is also a tickertape containing information on events and news. The homepage is mainly divided into three distinct columns which contain info on events in the school as well as information on enrolment and booklists. The site contains a navigation bar to the left of the page which makes the site extremely easy to navigate. Some of the navigation tabs give information on the school, school news and school policies. 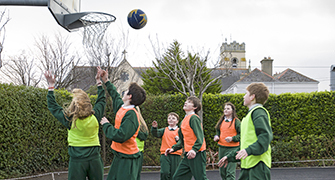 There is a dedicated section to the pupil’s work and achievements such as science experiments, class plays and a visit to UCC to receive first prize in the All-Island School’s History Competition! There are also links to pages detailing other achievements of the school such as Active Schools, Green School award and Digital School of Distinction. All in all, St Brigid’s National School’s website has a very clean layout, is easy to navigate and make excellent use of space and colour. 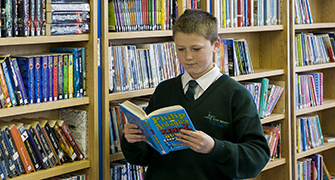 It is an excellent point of contact between the school, pupils, parents and the wider community. Well done on winning Scoilnet’s Star Site Award! We were awarded the Digital Schools of Distinction Award at the start of May. On 27th June 2018 we held our awards ceremony and we raised the flag. We were very lucky to have Minister Simon Harris join us for this special occasion. He raised the flag in front of the whole school. We really enjoyed showing him around St. Brigid’s and we were honoured to have him raise our flag. Below is a slideshow of some photos. Members of the Parents’ Association Digital and ICT group completed desktop, word and PowerPoint sessions with 4th Class, Rooms 17 and 19. They were super students and really enjoyed it. At the beginning of May we found out the exciting news that we were awarded the Digital Schools of Distinction Award. Neil, the validator, was very impressed with the work we are doing in the school to improve out IT. He visited a few classes and couldn’t believe how much knowledge the children had regarding powerpoints, internet safety, Beebots, coding, etc. He was delighted to give us the award and looks forward to hearing what we have planned for the future. The Digital Schools’ validator Neil O’ Sullivan visited the school. He was helpful, encouraging and affirming. We await the news as to whether we have earned a Digital Schools’ Flag. Here’s hoping! The Parents’ Association’s IT Committee are back! On Tuesday, 17th April and Thursday, 19th they are going to work with Ms. Purcell’s 3rd Class and coach them in Word and Powerpoint. 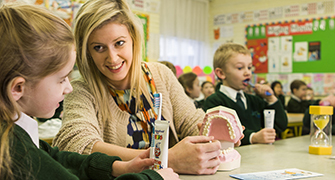 The following week they are going to work with Ms. Finnerty’s 4th Class. They are also going to work with Ms. Smith’s class. Staff and students really appreciate this input from the IT Committee. IS YOUR CHILD SAFE ON THE INTERNET? Parents of 2nd to 6th Class students, your Parents Association and St Brigid’s held an Internet Safety training session (recommended by the National Parent’s Council Primary) on Tuesday 23rd January 7.30pm to 9.30 pm., St Brigid’s School Hall. Following on from the interest generated by the Internet Safety training session held in the first half of the year, this second session was held for those who could not attend the previous session or for those who wish to learn some more. ‘The overall objective of the session was to provide parents with enough information and skills so that they will be able to engage in their child’s online life. Parents often admire how easily their children can use the Internet – but aren’t quite sure of what they are doing or seeing. This programme looks at how children use the internet and gave a practical demonstration of the technologies and the websites young people are using. Parents were introduced to strategies to help their children be responsible, effective and safer Internet users. This session also looked at cyber bullying. As parents, it is vital to have good, open communication with your child about their internet lives, as with all other aspects of their lives. We need to talk to our children about the potential dangers that they may come across online as well as the many benefits they will find. The programme also shows parents how to disable or enable safety mode on your computer. Setting rules and boundaries around children’s Internet usage is an important aspect of keeping them safe on-line’. We could have submitted for the Digital Award any time in the past three years or so, however we are ‘hastening slowly’. and that all students are be ‘hands on’ with technology. 1. Management has supported the teachers in this. A really important development that had to take place before we really could make progress was that the Broadband connection be improved. That happened in the Autumn Term of 2015 and has made a huge difference. Then when returned to school in September 2018, we found that we had Wifi. 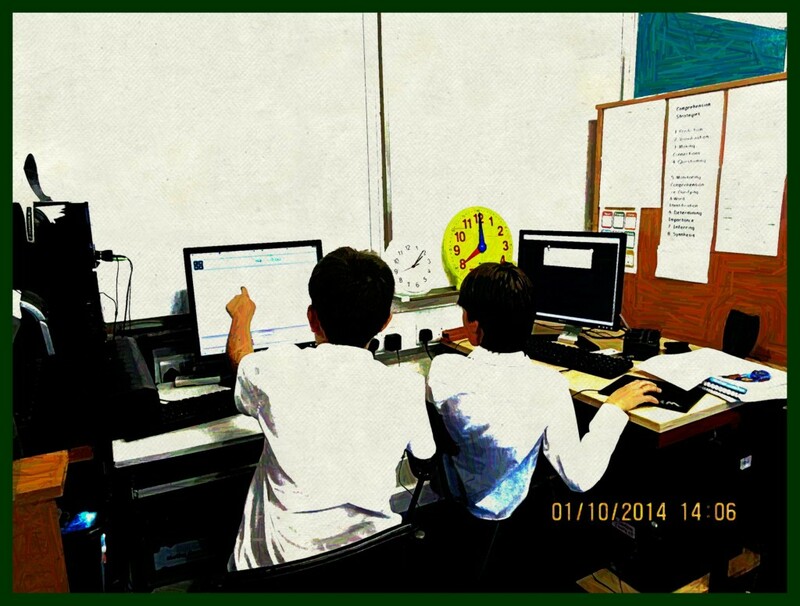 This was invaluable in terms of making progress using technology in the school. 2. We also needed to ensure that students had access to technology, so there was a substantial investment made in laptops. We decided it would be better to have a uniformity in the technology that we used and so built up a sizeable supply of laptops. They are relatively durable in comparison to other devices. One parents kindly gave of her time to unbox all these laptops for us and got them up and running. 3. With the investment in laptops came the need to store these laptops and presses were built accordingly. 4. 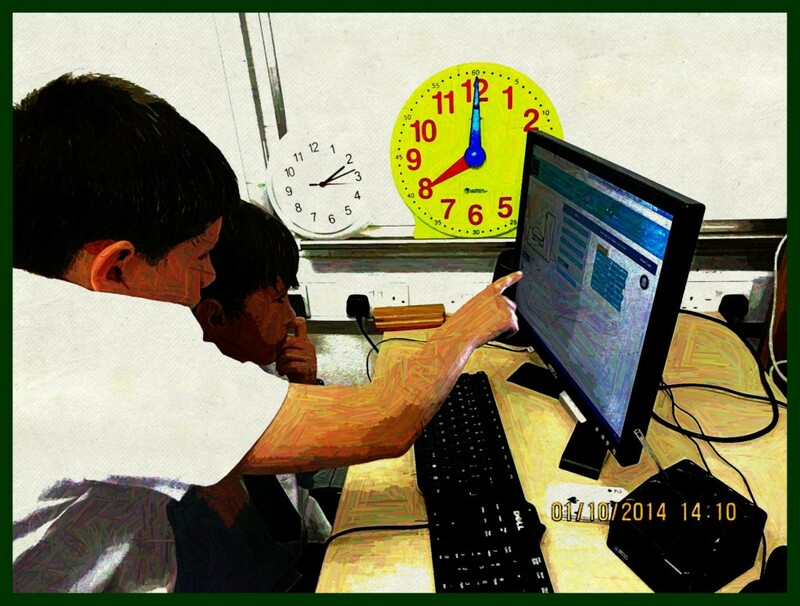 We are working towards children getting ‘laptop time’ timetabled regularly. To date it has been practical that this would occur from second class. A significant break through occurred in the Summer Term of 2017. A group of parents ran a ‘four class pilot program’ with 6th class, with three sessions on word and one on Powerpoint. In addition there was a ‘two class pilot program’ with a third class; one on Powerpoint and one on Word. This has been followed up in the school year 2007 – 18. The IT committee of the Parents’ Association is working with 3rd and 4th classes, coaching them in basic computer skills, Word and Powerpoint. 6.The Board has also encouraged teachers to upskill by offering to pay for Summer Courses in IT. Teachers are growing in confidence and competency with IT year on year. 7. St.Brigid’s has an online presence. There is a the school website, a Green Schools blog and a local history blog. Five teachers have had class blogs over the years. Three still do. Again pressure of time makes this challenging. However each class does have work displayed on the school website. 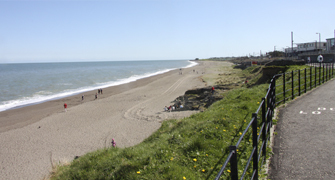 The local history blog was shortlisted for an Eir Junior Spiders Award this year. 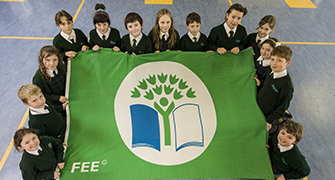 In 2014 the Green Schools Blog was shortlisted and in 2013 class blog ‘If Only the Best Birds Sang’ won the best school blog and overall prize for primary schools at the same awards. 10. Engaging with the ‘Wordsworth’ programme for reading using ‘the flipped classroom’ approach. You can read more about the ‘flipped classroom’ HERE . 12. Some teachers have class blogs and student blogs. Last March, Mrs. Caffrey’s class participated in the global initiative ‘Student Blogging Challenge’ over ten weeks. 14. Creating slideshows of the children’s art for the school website. 2. Using the Symbaloo webmixes on the school website to work independently on Maths or English during the time they are timetabled. 4. Taken part in the Khan Academy ‘Learn Storm’ competition in Maths. Unfortunately that is not running this year. However students can use Khan Academy to learn maths. 5. Learned how code; to programme; to use ‘Scratch’. Our work now in school is to continue to continue to develop our own skills as teachers and giving children these opportunities to engage with technology at a younger age. 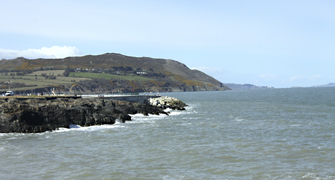 6. participate in three Irish based annual Twitter projects: Autumn, Spring and Digital Art. 7. Taking care online. Observing online safety, etiquette and copyright. We have also used Khan Academy in 2015 and 16 from 3rd Class to 6th in a Flipped Classroom approach. Approximately 200 children took part in the Mathletes and Learnstorm competitions. Khan Academy is a free website for learning. In 2004 Sal Khan began coaching his twelve year old cousin Nadia long distance in Maths. After a while he found it easiest to send her YouTube videos to explain things. Out of this beginning grew Khan Academy. Its motto is ‘”a free, world-class education for anyone, anywhere”. In the years since then, Khan Academy has become bigger and more effective. To start with Khan Academy just taught Maths. Now you can learn about history, science, art, economics, music, computer programming and more. Many experts in their field work to put content online that students can learn from. It is free to use and is supported by donations. The Gates Foundation and Google are two of its main supporters. How has Khan Academy been used in St. Brigid’s? Two hundred students in the school from 3rd class to 6th were signed up for the Khan Maths Challenge. 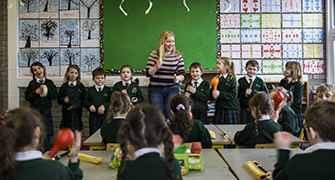 Khan is particularly suitable for 4th – 6th class however there is plenty of early maths for 2nd class up too. Children like it because it makes learning fun; they are rewarded for doing Maths with points, badges and avatars. Persistence is rewarded as well as achievement. Khan tracks progress for the student and recommends what they should do next. Teachers can check the dashboard and see the skills the students are acquiring and what students are finding hard. They can see who is working on Khan at home and the time they spend. Since January one hundred and seventy one students worked on Khan regularly. Seventy per cent of the work was done at home. 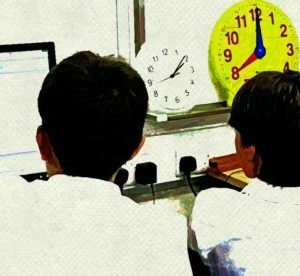 The top three students competing in the Khan 6th week challenge spent nearly sixty hours working on Maths between them. Working thirty minutes a day on Khan really adds up. Even ten minutes a day would help. The school piloted Khan from January, when a number of students participated in the national Mathletes Challenge. We came 1st in Wicklow, 7th in Leinster and 13th overall in Ireland. From 27th April we had a 6 week in-school challenge. This was even more successful. We hope to take part in the all Ireland Mathletes in January 2016.